NOTE: Do not use the forms below to request product quotations or for general product inquiries. These forms are only for requesting samples. Any quote requests submitted on a sample request form unfortunately will not be processed. Instead, please use the correct quote request method for the product you are ordering. Sample blocks are a great way to see a color before buying a full kitchen. These blocks are large, 12 x 6 pieces of solid wood with profiling to hold any glaze. They are finished to order to ensure color accuracy and take ~3-5 business days to produce and ship. Sample blocks are $25 freight included anywhere in the continental USA – Canadian shipments will be more due to increased shipping/border crossing costs. Sample block fees are credited back once your full order is placed at a rate of 2% of the order’s value (so, $5000 order would get up to $100 back in sample credit). This in mind, we recommend getting your job quoted before placing a sample block order. Sample doors range between $40 and $80, depending on door design and finish (if any). All sample doors are 12 x 15 and are built to order to your specifications, not stocked. Lead time is 8-10 business days (Prism custom colors take longer). Slightly faster expedite services are available on standard colors which add 25% to the sample cost. Sample fees are credited back to you once your full project is complete (expedite fees are not credited). The amount of the credit depends on the size of the job, up to 2% of the order’s value will be credited for door/block samples. 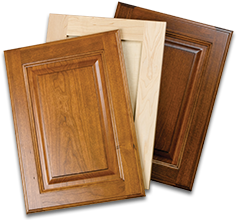 This in mind, we recommend getting your job quoted before placing a sample door order. NOTE: DO NOT use this form to request a product quotation. Please use the correct quote request method on the web site. Requests for product quotes submitted using this sample request form will unfortunately not be processed. Are you working with Cabinet Joint sales rep? If so, who? DO NOT use this form for general product inquiries or questions. This form is ONLY for submission of requests for sample doors or blocks. Available woods are: Alder, Cherry, Hard Maple, Hickory, Paint Grade Maple, Pine, Soft Maple, Red Birch, Red Oak, Walnut, White Birch, and White Oak. Quarter sawn and rustic species are not available on sample blocks, a door must be ordered.